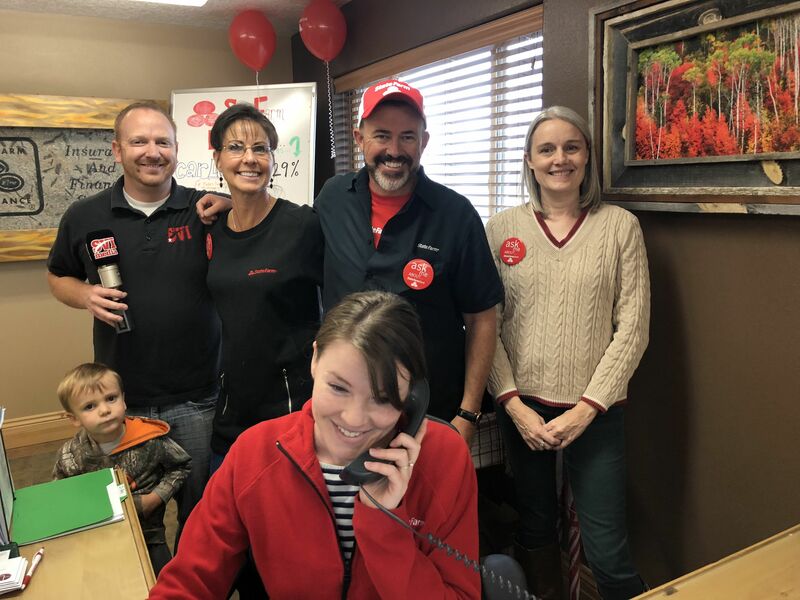 KRSV Swift 98.7 FM broadcast the celebration of State Farm Bank Day Oct. 4, 2018. State Farm Agent Randy Thompson summarized the services of his Star Valley based office. Thompson offered the following summary of State Farm and the Randy Thompson Agency. “State Farm is the number one insurance company in the country with over $100 billion in net worth and no debt. “This agency is one of the top 50 agencies in the country out of 19,000 State Farm agencies and the largest in Wyoming. “I am proud of my team and proud of this community. It’s great to get the recognition, and to win, but we only win when we help others.